Sweet Floweret: 20 Minute Tuesday #4! Welcome to the 20 Minute Tuesday party! Link details below. But first, my favorite link ups from last week! There were so many great projects, it was difficult to choose just these four to highlight! 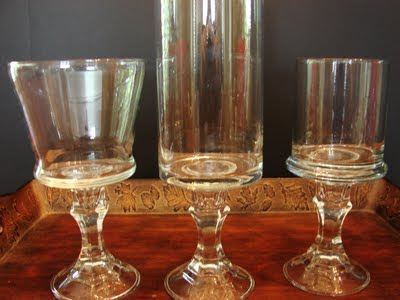 I keep seeing these DIY pedestal jars popping up. 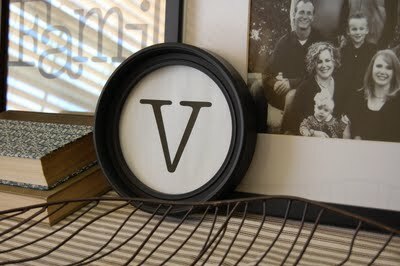 So easy, so cute and inexpensive! You can fill them with seasonal decor, candles, anything! 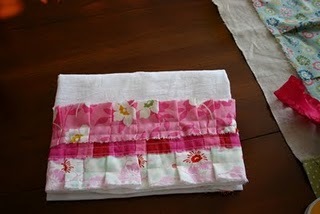 These were posted by Homespun with Love. I like ruffles just as much as I like pleats. 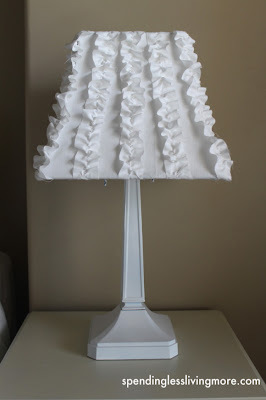 This DIY ruffle lamp from Spending Less Living More is adorable. Thank you all for your great projects! If you're new to my linky party, here are the rules. *Please post my linky button on your site. Thank you for the invite to join your linky party! My project took a little longer than 20-30 minutes (not including paint drying time) but not a lot longer. And because I had the wood I needed only to purchase the tacks (about $5.00). I have perused several of your posts ~ lovely place you have here! So nice stopping by! All linked up! :) Thanks for the reminder! We'll link up for you each week!